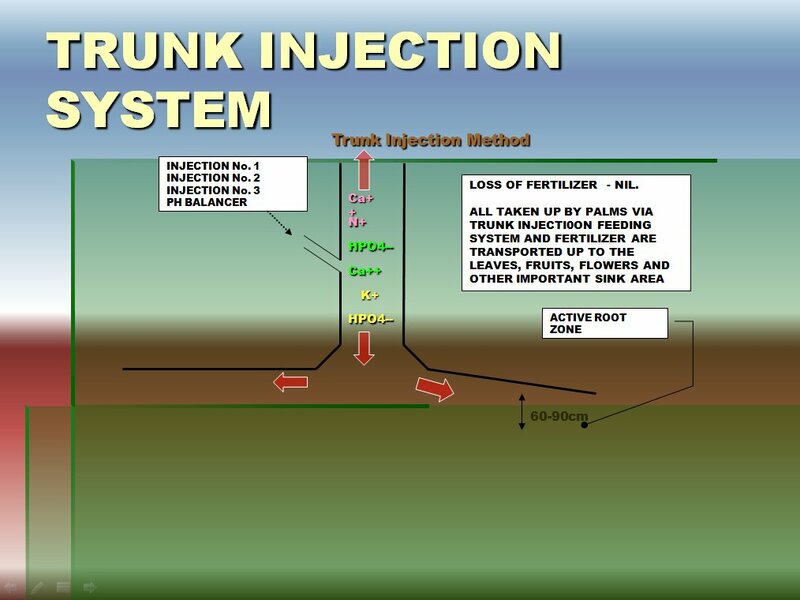 During the vegetative growth stage, when new leaves are produced and nutrients are being stored in these organs, nutrient supply to the roots can be either permanently insufficient due to lack soil nutrient content or temporarily interrupted due to lack of soil moisture (dry season). 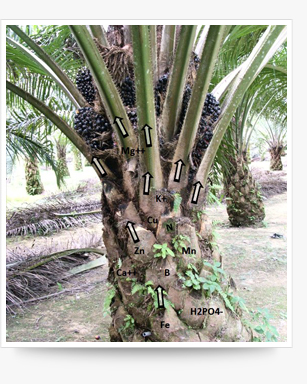 Transportation of nutrients from the storage organ is very important during the production of seeds, fruits and flowers. 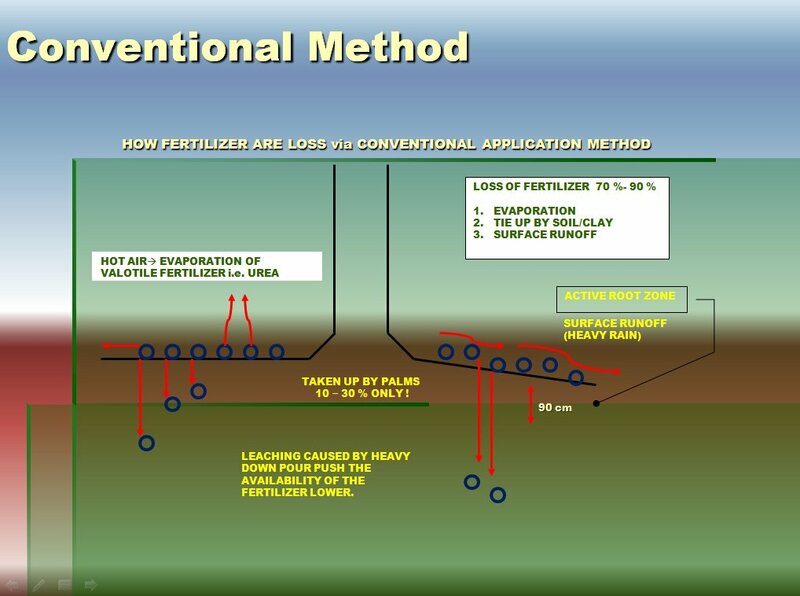 During the reproduction growth stage, the activity of roots and nutrient uptake are generally slower due to lack of food supply. This will also create a temporary of permanent deficiency of nutrients in the storage organ. 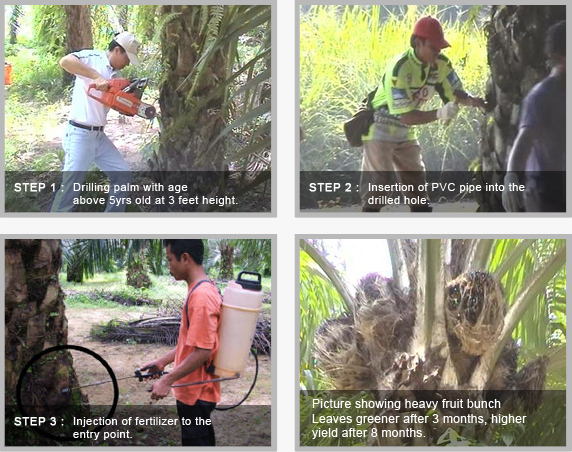 With the injection system, the above problems related to oil palm nutrition can be eliminated.